Apart from translating for work, in my spare time, I like to translate all kinds of texts, from newspaper articles to short stories, to practice my skills and as a hobby. One of my favorite kinds of translations is musical translation, where I would translate Spanish and Chinese songs into English. For an aspiring linguist and translator, translating songs is perfect for honing my skills, as songs are usually written in the more vernacular, colloquial language, as opposed to the more literary, formal style used for texts such as newspaper articles and legal documents. So far, I have not really had any really bizarre or strange experiences in translation, but there are some that did make quite an impression on me. Of all the translations that I have done so far, none have stood out more than those of these two compositions, Mice Love Rice (老鼠爱大米 ), a song I translated from Chinese to English, and Ang Huling El Bimbo (The Last El Bimbo), from Filipino to Chinese. Mice Love Rice was composed by Chinese songwriter, Yang Chenggang. It was first uploaded online in 2004 and became an instant viral hit. Popular Mandarin-speaking artists from Mainland China, Taiwan, and Singapore released covers of it, not to mention the numerous Chinese who posted their own covers online. 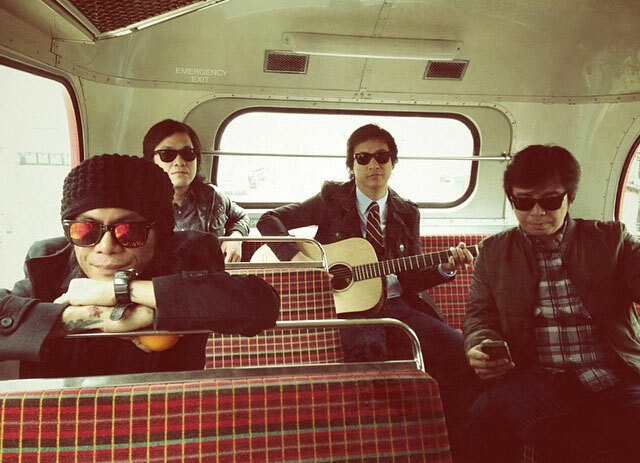 The Hong Kong pop group, Twins, released Mandarin and Cantonese covers of the song. Mice Love Rice is really just another generic pop song, with saccharine, over-sentimental lyrics, talking about how much the singer loves the listener, and a catchy melody that would have you kicked out of so many libraries for whistling. It is one of those earworms that will make you start singing non-stop, whether you are a fan of sugar pop or gangsta rap. Its lyrics are also very simple and easy to understand, making it a perfect song for those just starting to learn Chinese. However, it also has one of the strangest choruses that I have ever heard in an any cheesy pop song. It goes: “I love you, I love you, just like how mice love rice.” It may sound like nitpicking but I am not sure if comparing someone you like to something you eat is romantic. Maybe it is just my dark, morbid sense of humor, but when someone asks me to recommend any good Chinese songs they could use to practice their Chinese listening skills, I would almost always introduce it as a cannibal love song. Since, so far, I haven’t really translated anything I would classify as “weird”, this probably comes the closest. However, when it comes to the experience itself, not the song translated, that is a different story. A year or two after I graduated from college, I decided to try translating a Filipino song into Chinese for the first time. At the time, I had only been studying Chinese for about 4 years, and all of my translations had either been from Chinese to English or Spanish to English. The song I chose was the 90’s classic Ang Huling El Bimbo by the Filipino rock band, The Eraserheads, who’ve been called the Beatles of the Philippines. I had lived in the US for 7 years, and came back to the Philippines in 2006 to go to college. El Bimbo was one of the first Filipino songs that caught my attention when I returned. I had listened to it several times as a kid during our last stay in the Philippines in the 90s, but never got into it until college. The song is about a guy talking about this girl whom he had a crush on growing up. After school, they would go to her house to practicing performing a dance called “El Bimbo”. He later wonders what happened to her when they grew up, having lost contact with her. He eventually finds out that the girl, who became a single mother working as a maid, got ran over by a car, and he talks about how much he regrets never having confessed his feelings to her. It was the quintessential Filipino rock ballad. I had always been confident about my Filipino since even back in the States, I would sometimes speak to my parents in it. It was only after several experiences when I came back that I realized that I was not exactly as proficient in my mother tongue as I thought. I didn’t realize exactly how unproficient I was until I actually started reading El Bimbo’s lyrics, where I could only make up 50% of the words. I had to consult a Filipino-English diary before looking at a Chinese-English diary (if I did not know what the English word was in Chinese). In short, it was not so much a Filipino-Chinese translation, as a Filipino-English-Chinese translation. It was one of the hardest translations I had ever done. Besides the difficulties I faced with my Filipino, I also struggled to find the closest Chinese equivalent to the closest English equivalent I could find to the original Filipino word. It was one of those experiences that made me realize that it was harder to translate from a language you grew up speaking (Filipino and English) to a language you had only started studying for a few years, than vice-versa. Since I have only been translating for less than a decade, I haven’t really had any strange or extraordinary translation experiences other than these. Maybe one day, I will have to do a Filipino-English-Chinese-French translation or translate a song with even weirder lyrics than “Mice Love Rice”. Only time can tell. Emanuel “Eman” La Vina is a Filipino freelance translator in Chinese and Spanish. A lifelong linguaphile, he first studied Spanish in high school in the United States, and later studied for a year and half in Beijing. He is currently pursuing a Master’s Degree in History at the Ateneo de Manila University.